Another impressive material are the bronze bells in the two towers. There are six bells in each tower. 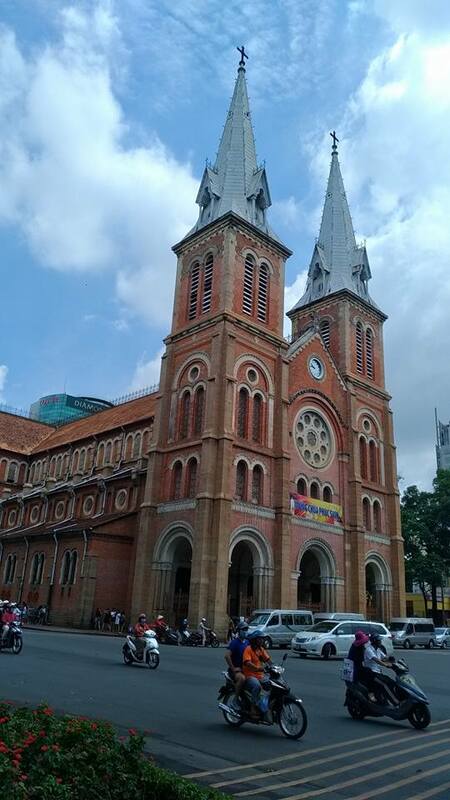 Aside from being a place of worship, the cathedral has also stood witness to the history of Ho Chi Minh. The Virgin Mary statue in front of the cathedral was also said to have shed tears of blood in 2005 (source: https://vietfuntravel.com/blog/saigon-notre-dame-cathedral-basilica-and-mass-times.html). Notre Dame Cathedral is very majestic in all angles. 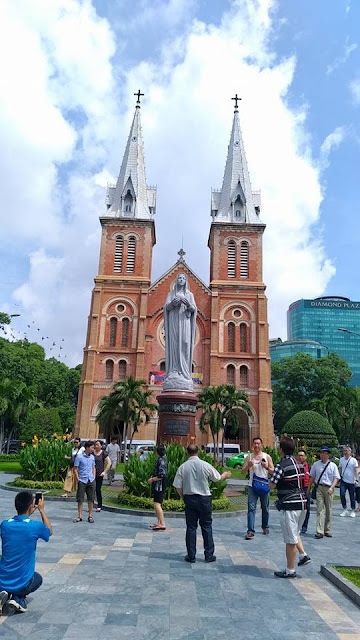 It is also conveniently located at the center of Ho Chi Minh City and from there, you can just walk towards the park and museums, and malls. To enter the cathedral, you need to pass by the small side entrance. 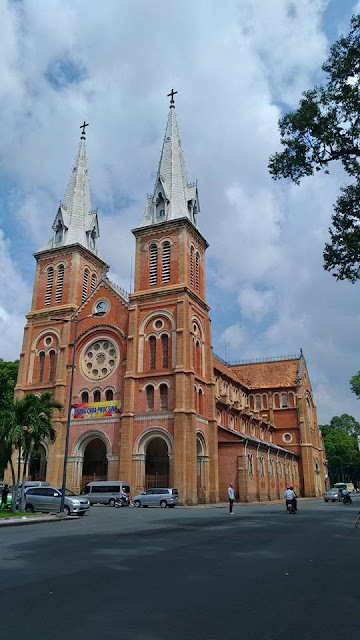 There are daily weekday mass (530am and 530pm) and several mass schedules on Sundays. Of course, proper attire is required in entering the church premises.